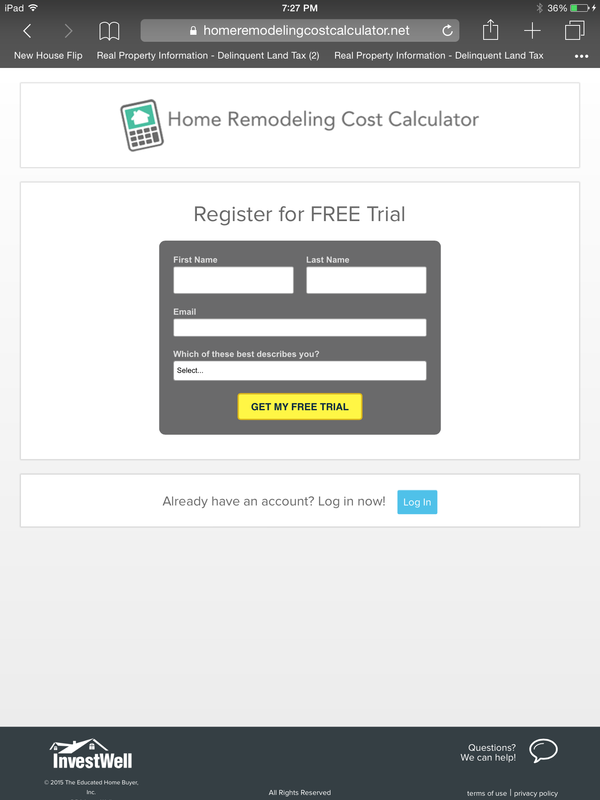 The Home Remodeling Cost Calculator is an online tool that requires a subscription for access. Subscribers can access the application as often as they like and save as many houses as they like. A single payment buys lifetime access. There are no recurring charges to your credit card. 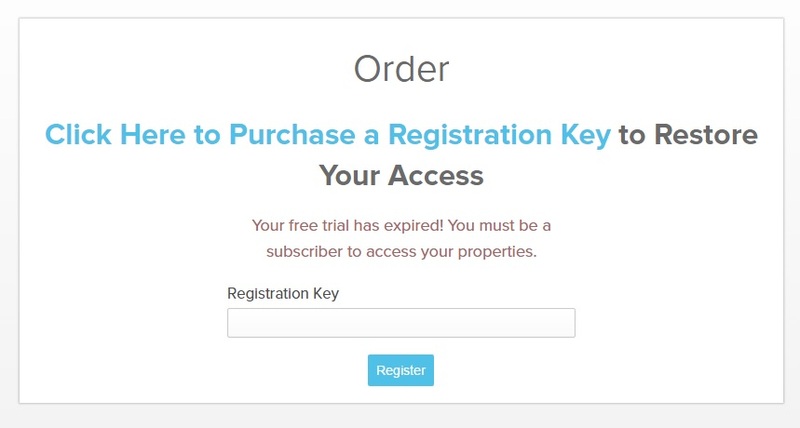 When you purchase a subscription, you receive a registration key that will allow permanent access. Saved houses associated with trial subscriptions are archived for six months. If a subscription is activated at any time during this period, the saved houses and all data are made available to the subscriber. Free Trial Version. You can try the Home Remodeling Cost Calculator for 15 days at no cost. All features are available and an unlimited number of houses can be saved. Saved houses remain available to users who purchase lifetime access! 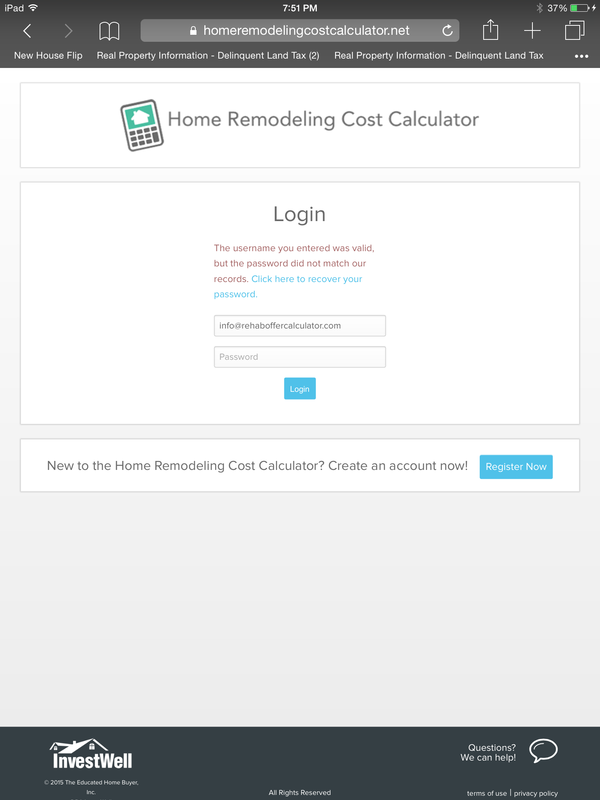 To create an account, go to the system access page at www.homeremodelingcostcalculator.net and click on the "Create Account" button in the lower right hand corner of the page. Enter your first name, last name and email address. All notifications will be sent to this email address (only). Read the terms of service by clicking the link and acknowledge agreement by checking the box. Select "Create Account." The "Account Created Successfully" page will appear. Note that if you've already created an account, an "Account Already Exists for this email address" message will appear, along with a forgot your password link. If your account is active, log in using your email address and current password. If you forgot your password, click the "forgot password" link on the log-in page and a link to reset your password will be emailed to you. Saved house data is retained by the system on inactive accounts and access to saved houses is restored when access is purchased. Select "My Account" from the top menu. 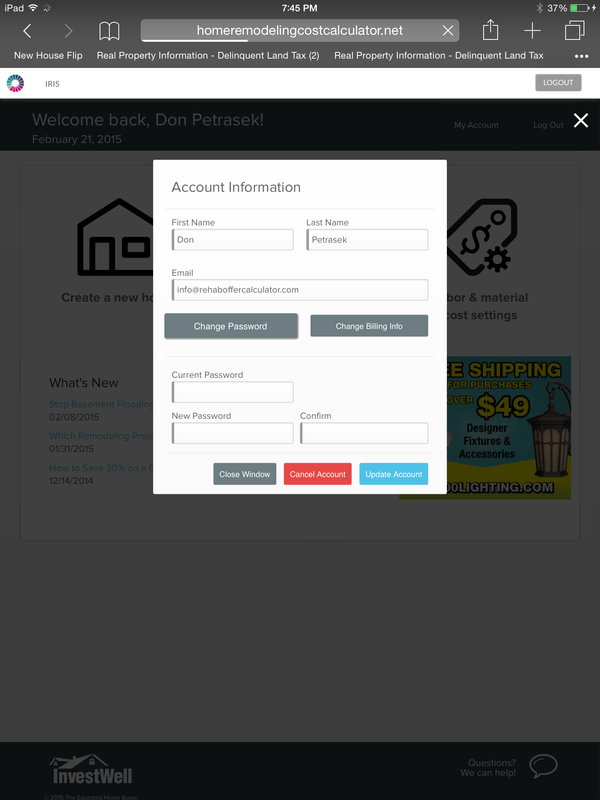 Input your new password in the "New Password" and "Confirm" boxes. Your new password will be immediately activated. 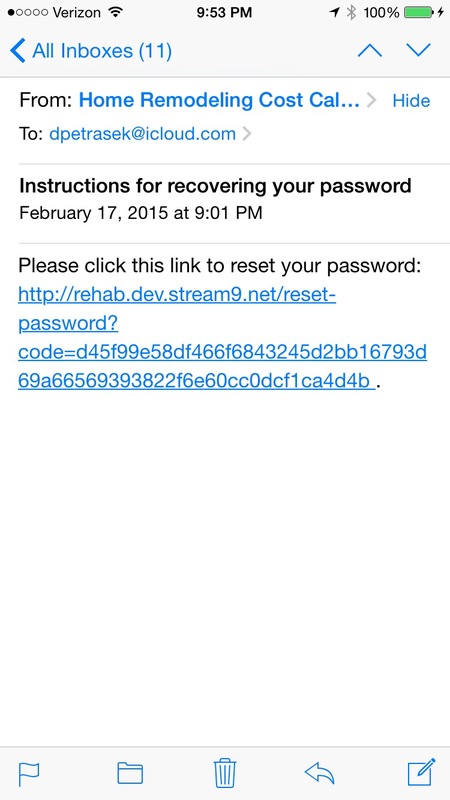 If you enter the wrong password, you'll get an invalid password message along with a link to recover your password. Click the link and you will access the password recovery page. 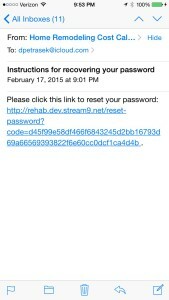 Click the "Recover" button and a link to reset your password will be emailed to you. Once you reset your password using this link, you can immediately log into the system. If your trial period expired, you can reactivate it by logging into your account and choosing any saved property (or the new property feature if you don't have any saved properties). You will see a message with a link to the page where you can purchase a registration key. Your registration key will be emailed to you immediately after your payment is processed. 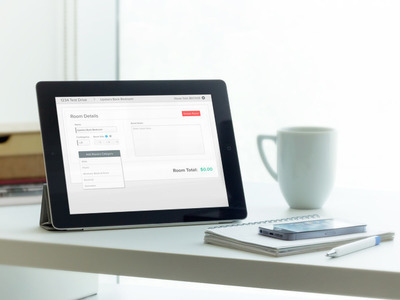 Input it into the box that appears on the Home Remodeling Cost Calculator page and your access to the system restored immediately. You can continue to use the same password to log in.